The funeral for his mother back in Croatia compels Frank Sokol to leave his new life in Ontario to pay his respects. It’s been twenty years since he was a soldier in Bosnia-Herzegovina. He never got over the Bosnian War. And now he is taking his 11-year-old son, Ben, with him. Since Frank’s wife, Samantha, passed away, her parents have been very protective of Ben. If it were up to them, Frank would be left to wrestle with his demons on his own. But Ben wants to go. Of course, he’s too young to know better. For Ben, he’d just love to know the meaning of his dad’s favorite swear word, “Kurac!” And so begins an intriguing new graphic novel, “Balkans Arena,” published by Humanoids. Philippe Thirault (Miss: Better Living Through Crime) provides a script, based on an original idea by Darko Macan, that is crisp and sophisticated. Jorge Miguel (The Z Word) provides sharp and precise artwork. 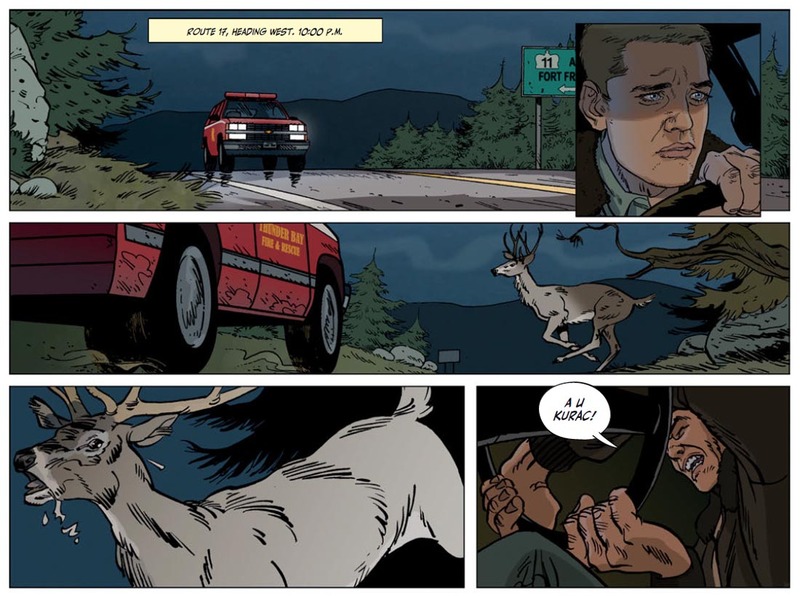 Together, Thirault and Miguel transport the reader to scenes and places well deserving of the comics medium: dramatic tension builds and gives way to suspense and terror. We grow to care about each character and are shocked when the unthinkable happens. Frank, now reverting back to his given name of Fran, must make things right on two levels: for the sake of his own sanity and, most importantly, for the sake of his son, Ben, who finds himself entering his very own Balkans arena. Jorge Miguel’s artwork commands the page. It is easy to lose yourself in it as he gives the narrative a cinematic quality. Thirault’s pacing is spot on. The family dynamics explored here are fascinating. We know right away that Fran’s brother, Anton, will be trouble. His resentment over being the sibling that stayed home and took care of the parents is palpable. Anton’s wife, Ivana, is just the opposite and is sympathetic to Fran. This lights the fuse to our story’s first powder keg. Strange. The Balkans were known as “The Powder Keg of Europe“, leading up to World War I. And our story here is certainly sensitive to the unique tensions of this region. This is one of the most riveting graphic novels I’ve read in a long time. It all comes down to how a number of smaller factors mount up. A lesser writer could have stumbled and gone too dark. This is a very important distinction because going too dark is no longer suspenseful but simply lazy and bad writing. This is for mature readers due to its serious content but it is not a heavy-handed story. 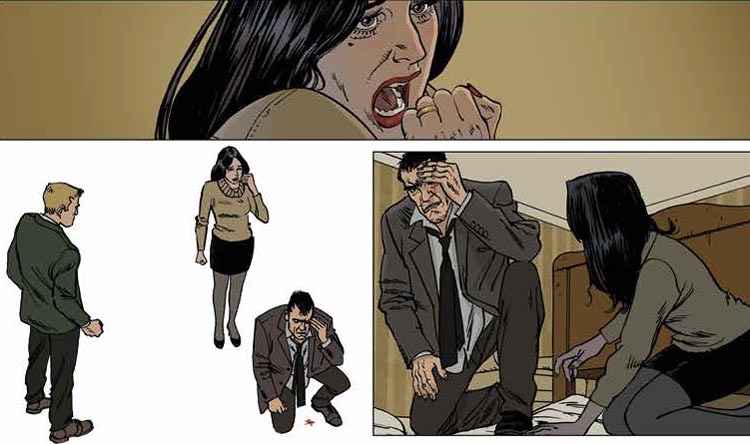 Thirault has crafted a story that tests the wills of father and son to the extreme in a crisis situation that draws the reader in. It’s a variation on a missing child story that will stay with you. 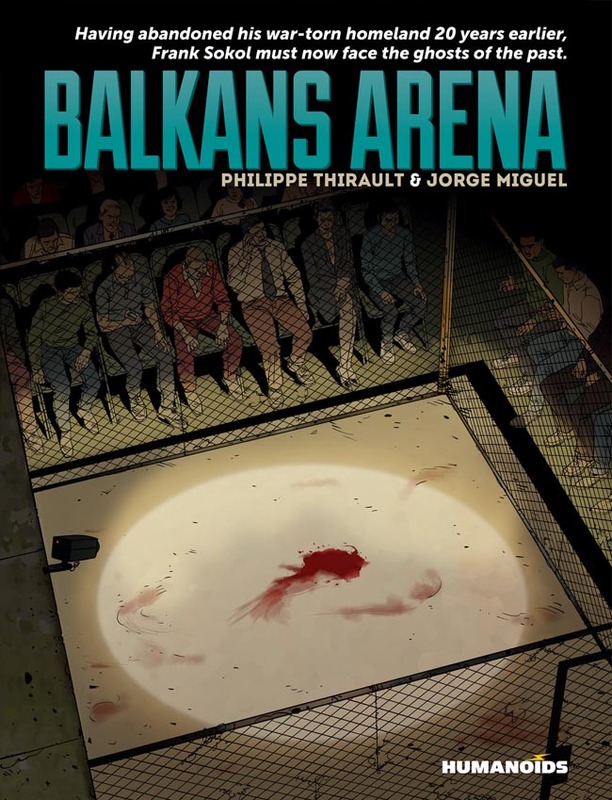 “Balkans Arena” is a 112-page hardcover in full color, published by Humanoids, and available as of Oct 14, 2015. For more details, visit our friends at Humanoids right here. Great review Henry, as much as I love superhero comics it’s always good to hear about something a little different. Have you ever read the “XIII” series, it’s a Bourne-esque conspiracy thriller by french writer Jean Van Hamme and artist William E.Vance (published by Cinebook)? Worth a look! Thanks, Chris. Just looked it up. I’ll have to add the “XIII” series to my list. Cool, I think you’ll enjoy it!